Panorama, at the Rialto Theatre on June 13th 2014. 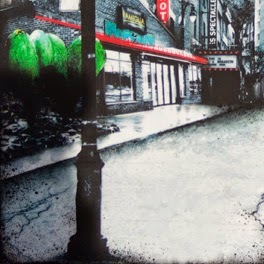 Buy tickets and win a signed giclee print! A selection of my artworks will be part of ‘Panorama’ an upcoming RAW Showcase that will be held at the Rialto Theater in Montreal on June 13th 2014 from 7-11:30 PM. 'Panorama' is basically going to be an evening filled with artsy entertainment, there will be film, live performances of dance and music exhibitions of fine art and photography, you'll get a little taste of everything. Combine all this creativity with drinks, fun, and good company! It's going to be a night to remember! Tickets for this Awesome Art Event are only $15! ($20 if you buy them at the door) You can order them by following this link. If you buy your tickets online using this link, your name will automatically be entered for a chance to win this 6"x6" signed and numbered giclee print of 'Montéal'! To give you an idea of what you can expect to see when you join us at the Rialto Theatre on June 13th you can check out the latest episode of Creative Ramblings. In this video you can get a little sneak peek at some of the Art and entertainment that will be presented. There's a huge list of amazing artists that are going to be performing at this event, this video shows only a small part. In two weeks there will be another episode of Creative Ramblings that will show you some more! So if you don't want to miss it, make sure you subscribe to my YouTube Channel! 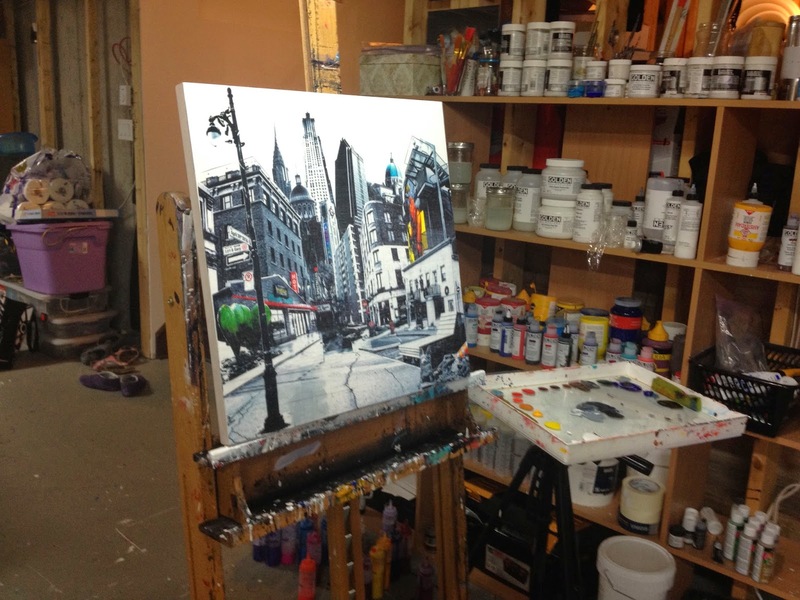 RAW:natural born artists is an independent arts organization, for artists, by artists. They're an international community made up of creative individuals across the globe. Their mission is to provide independent artists within the first 10 years of their career with the tools, resources and exposure needed to inspire and cultivate creativity. They welcome all genres of art including independent film, fashion, music, visual art, performing art, hairstylists, makeup artists and more. They encourage the creative success of the many visionaries and storytellers of our generation. RAW currently operates in nearly 60 cities across the United States, Australia, Canada and, now London! 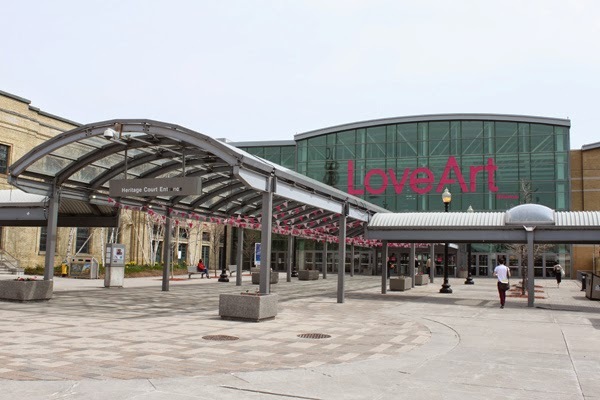 This past Thursday I traveled to Toronto to attend Love Art Toronto. Viva Vida Art Gallery exhibited my work at this first ever edition of the Affordable Art Fair in Canada, they also brought the works of Marie-Pierre Daigle, David Kelavey, Ok Hee Kim, Martine Legrand, Gordon Pym, SooZ (Susan Jillette) and Bev Wight. In this week's episode of Creative Ramblings I take you on a tour of this amazing art event. Love Art is the Canadian edition of the globally successful Affordable Art Fair, which was launched in 1999 by Will Ramsay. The mission of the fair is to make the process of buying artwork welcoming, fun and engaging. The show opened on Wednesday May 7th with a private viewing. After a full fair day on Thursday the Love, Life and Sketch Charity Gala opened at 6pm for a night in support of the transformative power of the arts! Sketch is a community arts development initiative in Toronto engaging young people who are homeless and living on the margins. A portion of the proceeds of the night were donated to this amazing cause. On Friday, Saturday and Sunday there were a host of different talks and tours as well as an ever changing display of amazing and beautiful artwork by 40 different galleries from all across the world. A very special wedding gift. On April 26th I attended a beautiful wedding, the bride and groom are not only very good friends of mine but they're also avid collectors of my work. I wanted to give them a very special wedding gift, so I created an artwork specially for them. 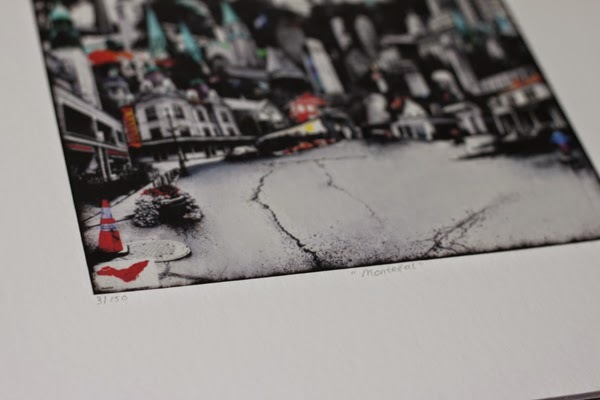 Because they had purchased one of the pieces from 'Discoveries: Montréal' I decided to make the artwork in the same size and style so the pieces would go together. Because I wanted to create something that would reflect their journey as a couple I had my husband, who was the best man, ask some sneaky questions. He figured out where they had their first date, where they had their first kiss and which Montreal locations were extra special to them. I took pictures of all of these special spots and had a little walk around their neighbourhood to get some additional material to round out my composition. Of course all of this had to be done in secret, every time the happy couple came for a visit I had to hide all the evidence! Usually when I create a commissioned piece the client is part of the creative process but in this case, because it was a surprise, I had to have faith in my ability to anticipate their taste and create the piece without their input which made the creative process extra exciting. The painting is now proudly on display in their apartment together with it's brother (or are paintings considered to be female?) 'Pointe-Claire'. I hope it will function as a reminder of their journey together and their special day. Lori and Gary I wish you much happiness and many new adventure in your future together!